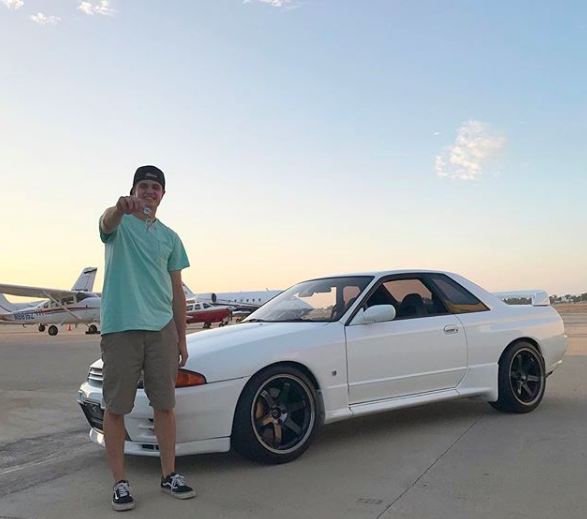 Many assume most people pay cash for these cars and while some do, most of our customers finance because it makes purchasing their imported dream car more manageable and helps them hang onto some cash for the build! It helps that many of these cars usually appreciate over time and the increase in value of the car may far exceed the finance charges making this a much more attractive option. Generally speaking, if you have good to excellent, established credit and at least 10% to put down towards your classic imported car purchase, have verifiable income, a good debt to income ratio then you may qualify! What is Debt to Income Ratio? Debt to income ratio is the percentage of a consumer's monthly gross income, as reported by the credit reporting agency, that goes toward paying debts. The maximum amount that we allow is 45% of all debt including mortgage and installment debt, auto loans, student loans, etc. There is no charge for applying for financing and approval does not commit you to the purchase. If you are undecided and you are between a few cars in our inventory, you should get approved for the maximum amount you are looking to borrow as you can alwasy accpet less. If you have a specific car from our inventory of imported Japanese classic cars in mind, ask to be qualified for 80% or 90% of the purchase price. Otherwise, tell your sales person or loan officer the general amount you are looking to spend. In most cases we can add in your state’s sales tax, CARB Compliance for California Direct Import Registration and transportation to your door in the total financed amount. Typically a down payment is required, there are a few exceptions where one may not be needed depending on the lender and the result of your approval and your individual qualifications. On average banks require a 10% to 20% down payment and offer terms from 60 to 84 months. You can reduce the length on the term of your loan yourself by making larger loan payments each month. In other words, by making a larger payment each month you will pay off the loan sooner. Our minimum loan amount is $6,000 however exceptions can be made on a case to case basis. Our lenders pull a hard inquiry from Experian and Equifax. Credit scores often vary by agency and scoring models. For more information regarding how your credit score was calculated you may contact either of the credit agencies directly. Given the unique nature of each individual's credit profile there is no single definition for "good credit.” Typically our lenders look for the following key indicators when issuing approval of a loan. Several years of established credit history. Stable and sufficient income and assets to repay current debt obligations as well as the loan you are applying for. If you have a bankruptcy in the past or other marks against your credit that may cause you to feel you may not be approved, exceptions can be made that may grant you approval. For instance, a higher down payment. While the minimum downpayment is typically 10% down, except in cases where one is not required, the bank may request you put anywhere from 20% to 50% down depending on your specific circumstance. A bankruptcy must be discharged for a minimum of 4 years with excellent established credit since the discharge. Banks can often make exceptions for poor credit depending on what kind of account or accounts have had issues in the past however they usually cannot approve someone if they have had late car or mortgage payments recently.